Wall mural Magical dreams. 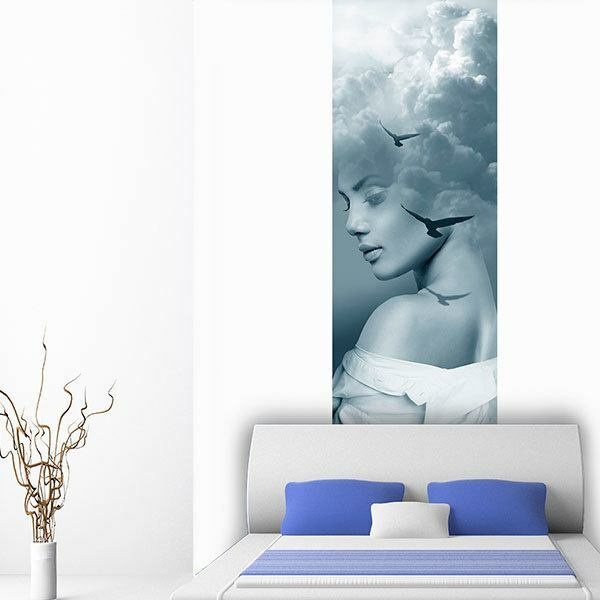 Fabulous composition of the photo of a young woman with clouds on her head where several birds fly, metaphorically she is dreaming. 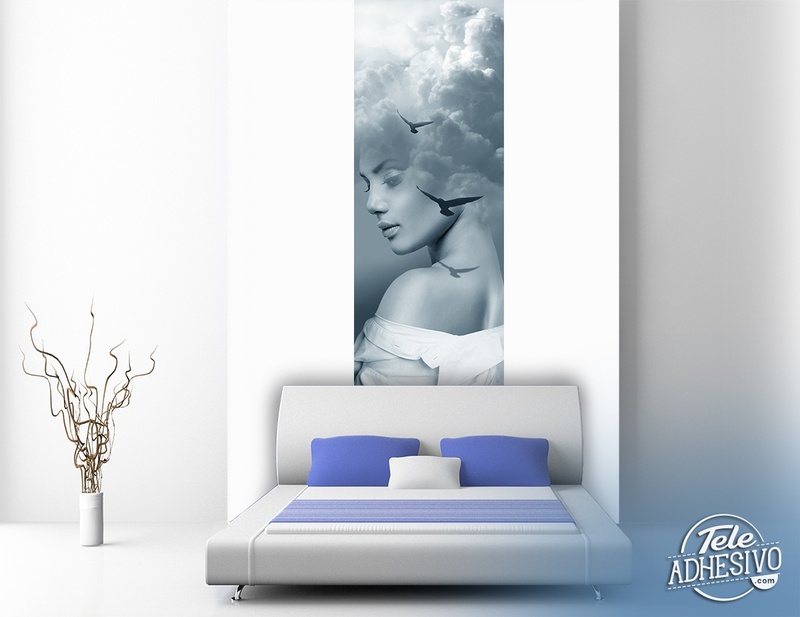 The image is of soft bluish and white tones, a very clean and pleasant combination to decorate your home with relaxing symbolism. Size: 96 x 39 cm.